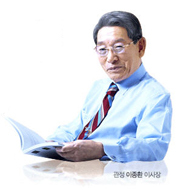 LEE Chong-Hwan, the founder and honorary chairman of the Kwanjeong Education Foundation has donated 50 million dollars to Seoul National University for the renovation of the central library. Seoul National University has signed an agreement with the University of Warwick,a well-established public research university in UK, to establish an exchange program. The Office of International Affairs (OIA) held an event, called 'Go Dutch! ', for Korean students to experience the culture of the Netherlands. The Graduate School of International Studies frequently invites experts in various fields to give lectures in English. The special lecture by judges from the International Trubunal for the Law of the Sea on May 22, is one of these events. The 8th SNU-University of Tokyo Rugby Exchange Exhibition represents an initiative in uniting two nations, Korea and Japan as both universities have great social significance in their countries. There will be a lecture by Dr. Rebecca Bushnell and Thomas Gates, regarding 'The Role of a Liberal Arts Education in the 21st Century and the Shape of the Faculty of the Future'. The Department of Student Affairs is recruiting SNU students of foreign nationality to participate in overseas volunteering activities. Please find more details regarding Undergraduate scholarship application for 2012 Fall Semester.